It's been a while since I've reviewed a book on here. Why? Simply because I have not been reading as much as I should. Over the summer, I essentially read nothing. I think I crave the routine that comes along with a new school year. Since then, I've been reading nearly every night again, and I am on track to finish my 36 book goal for the year of 2013. Today, I'm going to tell you about The Moon and More by Sarah Dessen. I'm a big fan of Sarah Dessen. I have been for years. Her books aren't normally the type I read, but I ALWAYS dive right into her novels and don't come back up for air until I finish them. Just like each of Dessen's novels, this one did not disappoint. I instantly knew who I wanted Emaline to be with, and my view actually changed as the story progressed. The Moon and More is a fun read, and I will be recommending it to everyone who asks me what book they should read next. Do you enjoy Sarah Dessen books? Which of hers is your favorite? I love Sarah Dessen books! I read The Moon and More over the summer and loved it. I think my Sarah Dessen book is Lock and Key. Do you read her blog? It is lovely, and makes me love her even more. I like Sarah Dessen books! It's been a while since I read one, sadly. I may have to get a copy of this one! 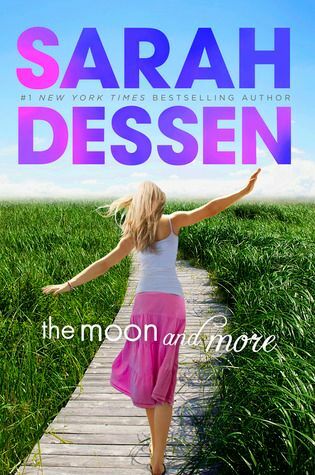 I love Sarah Dessen books - I'll have to check this one out! 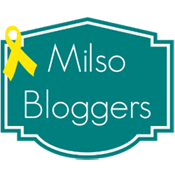 New follower... stumbled on your blog online and enjoyed reading your posts! And I am also a military wife from KC!